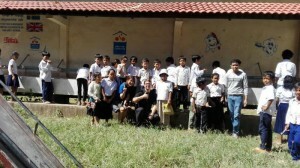 Festival organiser Festival Republic donated the sink to Tonlebet School. The sink is big which helps to accomodate the toothbrushing activities for over 700 kids per day. The sink is loctaed next to Bike 4 Cambodi’s dental clinic so the kids at Tonlebet School has very good chances to improved oral health. 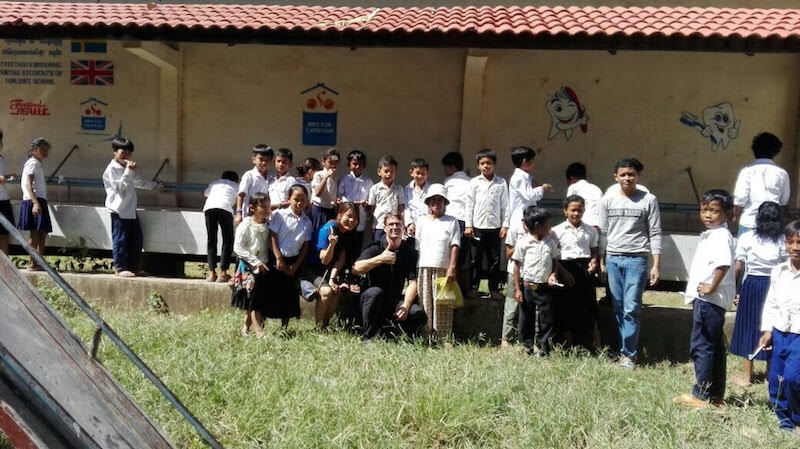 The toothbrushing on this school started back in 2012 and according to Swedish dentist Joakim Skott the kids oral health has improved a lot since the project started. Mrs Somana runs the toothrbruhing program for Bike 4 Cambodia at Tonlebet school.